From slow beginnings in 2014, InsurTech has captured US$7billion in investment since 2010 — a 10% annual compound growth rate is predicted until at least 2020. Three in four insurance companies believe some part of their business is at risk of disruption and understanding the trends, drivers and emerging technologies behind Insurance’s Digital Revolution is a business-critical priority for all growth-minded firms. 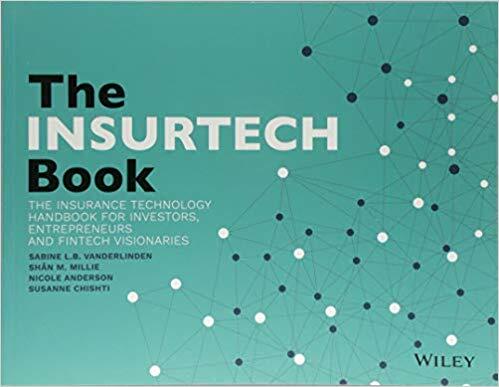 The InsurTech Book offers essential updates, critical thinking and actionable insight — globally — from start-ups, incumbents, investors, tech companies, advisors and other partners in this evolving ecosystem, in one volume. For some, Insurance is either facing an existential threat; for others, it is a sector on the brink of transforming itself. Either way, business models, value chains, customer understanding and engagement, organisational structures and even what Insurance is for, is never going to be the same. Be informed, be part of it.